So, Olaplex is a three-part treatment, the first two of which have to be done in the salon. Olaplex is particularly good for those with bleach-damaged hair or for people that want to prevent damage. It also works well as a standalone treatment to help rebuild the condition of your hair - we’ve seen amazing results with Olaplex in Wilde. First, Olaplex Number 1: Bond Multiplier is used - this can be put on the hair as a stand-alone treatment, or if you're getting your colour done, it is mixed in with the bleach and put straight onto your hair in foils. Doing this greatly reduced the damaged caused by bleach while still allowing the bleach to cleanly lighten your hair. Olaplex Number 2, Bond Perfector is then put on the hair once the bleach is rinsed out. This is left on for a good 20 minutes to allow the healing and repairing properties of Olaplex to really do its thing. Olaplex Number 3, Hair Perfector is where you take things into your own hands. The third step is a take home treatment, which we suggest to use no more than once per week. Apply to damp hair, comb through mid lengths and ends, and leave on for a minimum of 10 minutes at home before washing as normal. If you want to maximise the effect, leave it on overnight. Below picture shows the benefit on the hair fibre at a microscopic level. 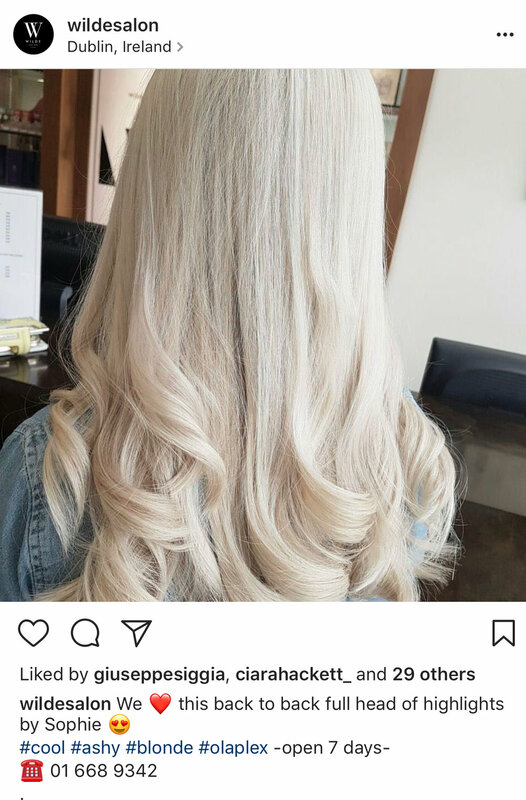 Check out our Daenerys Targaryen lookalike with glossy, platinum tresses thanks to some magic from Sophie and Olaplex. The dazzling colour was achieved with a full head of back to back highlights.